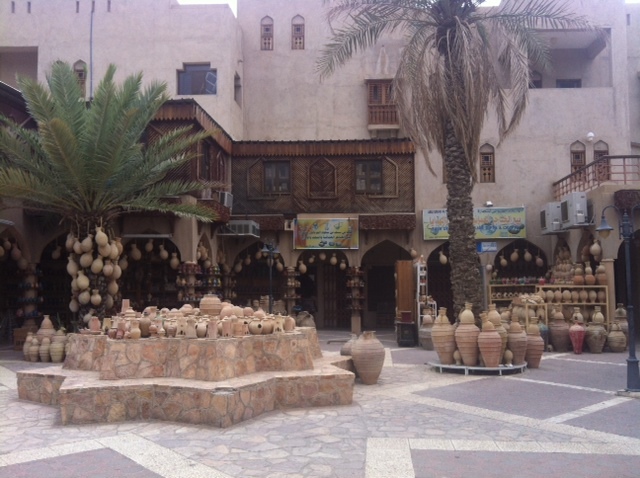 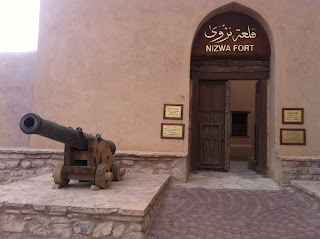 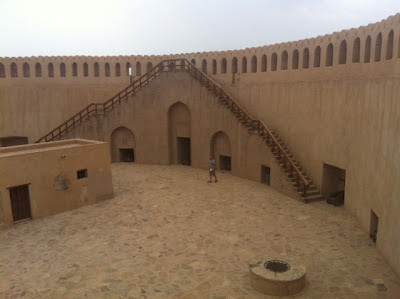 This weekend past Colin & Myself took a drive out to Nizwa, the former Capital of Oman. 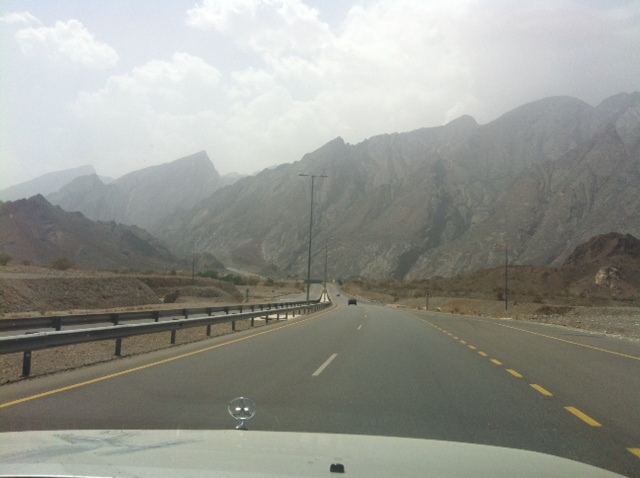 Nizwa is about 1.5 hours drive inland and the drive through the mountains was pretty awesome. 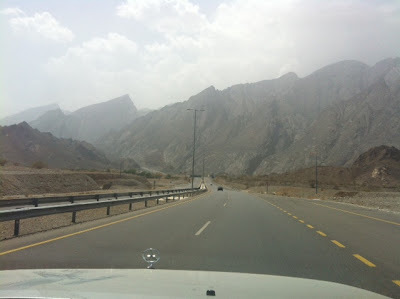 It was so nice to get out the city and have a drive just the two of us. Nizwa is famous for it’s Fort built in 1668, it’s traditional Sooq (market place) and for the date fruit grown from palm trees. We did some exploring so we can take visitors here when they come to stay and we really want to go to the Friday morning animal market that has been held here for hundreds & hundreds of years. “Wheres Wally?” Can you spot Colin? 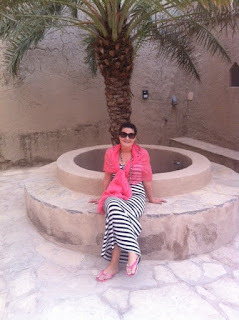 In a Muslim country it is important to keep your legs and shoulders covered up in a public place. 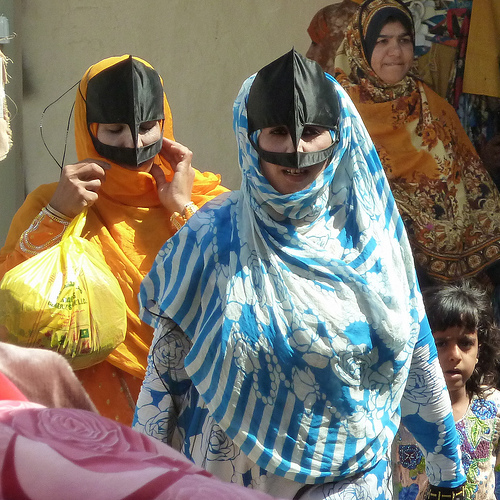 The traditional Bedouin (ladies in the masks) are said to know all the best prices if you are looking for a new goat or such like. Then on the drive home I got pretty bloody excited at finding some camels along the way, they were just hanging out by the side of the road eating the rubbish that people had thrown out of their cars. 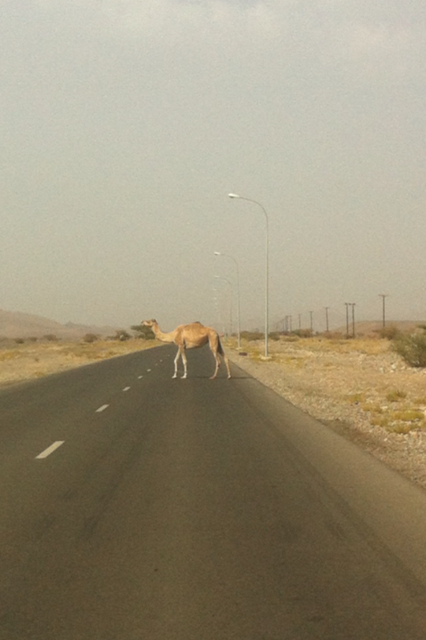 I got out the car to try and touch them but got a little freaked out at how tall camels actually are and my goodness they really do stink!! 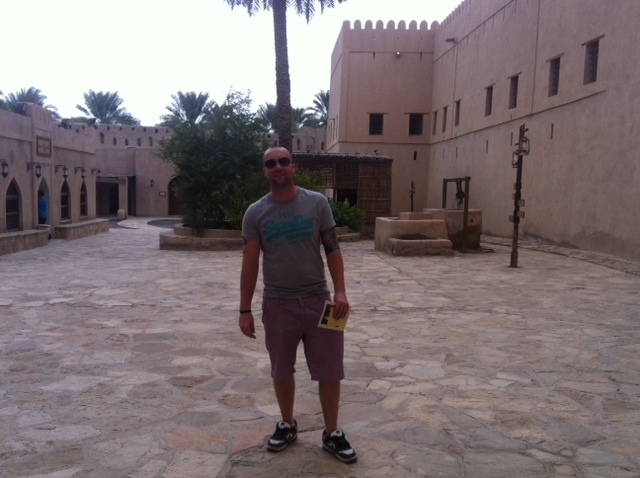 Colin posing for a photo with his new friends..
How did you manage to fit that camel in the car?